So, NOW the “Republicans” want to “negotiate” on Obamacare? Bulls***. No, they don’t want to negotiate it. They never have and they never will. They want to kill it, and always have: read http://en.wikipedia.org/wiki/Patient_Protection_and_Affordable_Care_Act for a refresher. Short form: “Republicans” have, since 2009, actively worked to sabotage the process, even when their own ideas (like the individual mandate) got added, and liberal ideas like single payer got removed. The ACA passed without a single “Republican” vote. It has survived multiple repeal efforts by unhinged Teabagging Congressional “representatives”. It was judged Constitutional by the uber-conservative Supreme Court. It was validated again by the American people in the 2012 elections. And the Elephants are STILL trying to kill it, by shutting down the government. This is not negotiation. No, the “Republicans” do not want to negotiate the ACA. They want to do by extra-Constitutional means what they could not accomplish within the law. They want to kill it. And that is all that the Boehner Brigade and Marching McConnells want to do. Obamacare is a Compromise. America itself is a Compromise. Back in the 1700’s, there was a lot of debate as to what sort of government we should create. Some wanted a democracy, some a republic, some even wanted a constitutional monarchy. In the end, no side won the argument, and we have a hybrid that isn’t a pure version of any model that was considered. Our very system of government is a compromise. So when House “Republicans” shut down said government because they refused to compromise, they weren’t just being petulant little brats; they went outside of the Constitution and indeed, acted in a manner that is fundamentally opposed to the entire history of America. America is always arguing – it is who we are and what we are. Our nation was founded on an argument that was never settled, and never will be. And the same is true of our laws. Very few of them are “pure”. Obamacare is a good example. It is a private-sector solution with government oversight, requires participation but doesn’t enforce it, based on Republican ideas but passed entirely by Democrats. Nothing there is free of compromise: everything there IS compromise. Anyone who refuses to compromise is not functioning in reality. That means the Teabagger caucus is living in a friggin’ dream world, and someone needs to wake them up, kick them out, or both. Ever heard of Calvinball? It is a game in which the rules were made up by two comic-strip characters (Calvin and Hobbes) as they went along, changed at a whim, and sometimes resulting in injury and humiliation: however, the the game rarely results in a clear winner. Calvinball generally seems quite chaotic to an outsider. The resemblance to politics seems quite apparent to this writer: two teams, each seeking to win, and employing all manner of artifice, cunning, and sneakiness to win the “game” (or at least have fun playing). Indeed, Calvin himself once said, “This game lends itself to certain abuses”, and that reinforces the political analogy. Confession Time: Mr. Blunt and Cranky despises political parties, seeing them as inherently and actually corrupting organizations. Indeed, they have proven themselves to be every bit as detrimental to our nation as President Washington predicted. But as long as both parties played by the same set of “rules”, one could at least guess what sorts of nonsense and brouhaha would spew forth from our governmental entities. Of late, the “Republican” party would seem to have decided to play a one-handed game of Calvinball: they have discarded the old rules of the political game, and decided to make up their own rules as they go along, without consulting the other “team” (or sometimes even members of their own). Not surprisingly, this is causing problems, for their party and the nation as a whole. Because, even in a game like Calvinball , both parties need to agree to the same overall framework. As said in the link above, “Calvinball cannot be played by enemies”: all sides must have a certain amount of trust in, and respect for, each other if the game is to be successfully played. But the Repubs hate hate HATE President Obama in particular, and Democrats in general. Respect is long gone, and trust is nearly as dead. So as they change rules, the Boehner Brigade and Marching McConnells (and their counterparts across the nation) play their one-handed game not just to play, and not just to win; rather, their objective is to destroy their enemies. And that, Gentle Reader, is a really big problem. The nature of a two-party system is that of a constant tug-of war: but not war. The one is people pulling on opposite ends of a rope to see who can pull the hardest, and the other is about wiping the opposition off the face of the earth. The Dems (especially the Prexy), bless their pointed little heads, are still acting like both sides are pulling on that rope: but the Repubs see the rope as a fuse, which they would love to light so as to blow the other party to smithereens. Another analogy: in a game that has always been somewhat akin to a full-contact version of baseball, the Jackasses are throwing slow-pitch softballs, and the Elephants have switched to hand grenades. And put land mines under the rest of the field. And packed the stands with little baby elephants, each with his or her bag of peanuts, flag pin, and rocket launcher. And are adding new “rules” as each minute goes by, to boot. If politics has become a game of Calvinball, then all the players must agree to play Calvinball. Right now, the “Republicans” have switched not just the rules, but the entire game: either the Democrats must also play Calvinball, or their antagonists need to go back to the old game and its rules. Special thanks to a favorite blogger: NameBrandKetchup for reminding this writer of Calvinball in his post about relationships. Y’all ought to read his blog. Not sayin’ just sayin’. Republicans Love Sequestration, and Never Mind What the Public Thinks. Every now and again, politicians reveal their true natures, and we are appalled when we see how loathsome those natures are. So it is with the Sequester: a “worst case” measure that “was never intended to occur”, because of the “indiscriminate and draconian cuts” that would result. It turns out that many (perhaps most) “Republican” “representatives” love them some severe, draconian cuts, as long as they themselves are not inconvenienced by said cuts. Small businesses, Head Start, and the military are all taking a big hit from the budget cuts that “weren’t supposed to happen”. And the conventional wisdom that said politicians would make a last-minute deal to stop the cuts from going into effect? It turned out to be wrong. And why was it wrong? 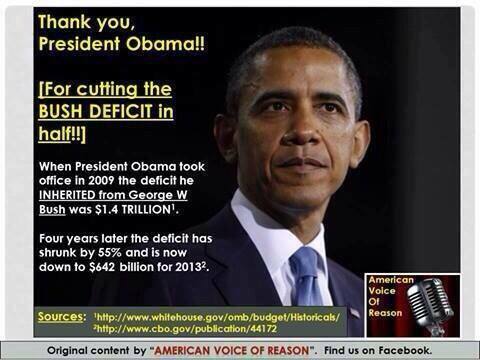 Because a lot of TeaPublicans want those cuts, that is why. Veterans’ benefits late? No prob. Kids thrown onto the street? Hey, ‘salright. Grandma going hungry? It’s all good. Because Congress still gets its pay and bennies, right? And so long as they can fly home in comfort, there’s no problem with those nasty budget cuts. In fact, they actually love those brutal budget cuts, and have no interest in replacing them. They call those who have been de-funded “spoiled little children”, among other things. People, wake the f*** ing f*** up. The Teabagging “Republicans” (and a few Donkeys, too) do. not. care. about. you. They only care about their millionaire lifestyles and billionaire buddies. And none of them run small businesses, have kids in Head Start, are trying to get the VA to replace a missing leg, or in general give two hoots about the “little people” whose lives are made worse by the Sequestration Cuts. If you vote for another one of these Wingnuts, here’s hoping you get your budget cut next time round: because you have asked for it. Obama’s Speech is, in Mr. Blunt and Cranky’s ever-so-humble opinion, a great one for anyone with an ounce of Center in their bones. Liberals are crowing and Righties are cursing, each wing flapping away as it hears what it wants to hear. Hardly unusual, if disappointing. But the speech (read it, peeps) is not some flaming Communist Manifesto, regardless of how the pundits may try to present it as such. No, it is a sensible, fact-based, consensus-building appeal to the values in our Constitution and the involvement of the electorate. He is saying that we the people need to do more than vote every few years: we need to follow the law of the land, and hold our “Representatives” to account. As a proud Radical Centrist, this writer finds a lot to like in Obama’s second Inaugural Speech. Now, if the clowns in The Dizzy City Circus can actually live up to the ancient principles espoused in said address, (and we citizens make them do it) we just might be able to have a government of, by, and for the people again. Unlikely, but possible. And well worth the effort. Barack Obama Has Been Sworn in Again. Friggin’ Deal With The Reality. Yes, Barack H. Obama has once again become President of these here United States of America. Like him or loathe him, he has accomplished something a lot of Prexies have not: he won re-election. Lots of people on the Right cannot wrap their heads around this reality, so Mr. Blunt and Cranky is here with his trusty Fungo Bat of Fact to ever-so-gently beat the truth into their heads. Obama accomplished this feat by beating the ever-lovin’ crap out of Captain Forehead in the General Election, just as he did unto Senator McCain a few years back. The math says he won, and no matter the screeches and conspiracy theories, math wins in the end. Obama won the election. Cope, people. Another uncomfortable fact that you all must accept: Obama won both his terms with higher percentages of the popular vote than Bubba or Bush The Dumber. Yes, I know, the FoxIverse and its echo-chamber brethren would have you believe that Obama is less popular than pond scum, but the fact remains that he got one whole helluva lot of votes. Simple logic says that most people either like the guy, trust the guy, or both. Regardless of what Limbaugh and his fellow shriekers say. Four more years of a Black Prexy, folks. Oh, and by the way, the U.S. Census defines race as whatever the citizen chooses. Mr. B & C identifies as White, for instance. Obama calls himself Black, the U.S. Government concurs, ergo the President is Black. And he’s having the public ceremony on MLK Day. Yep, another influential Black man. That’s the breaks, Honkies. One final whack of the Fact Bat: the United States operates under a Constitution, and all of our laws must, repeat MUST, be in compliance with said document, no matter how popular an idea may be at a given moment. So if you want some bright, shiny object enacted into law (like outlawing guns or abortion), fuhgeddaboutit.Not only are the Supremes experts on the Constitution, so too is President Obama. So calm down and adjust your expectations to fit what the law will actually allow. Reality. Learn to love it, folks: because reality ain’t going anywhere.